You’ve chosen to pursue a career in one of the rehabilitation disciplines because you’re passionate about restoring the quality of life to those recovering from illness and injury. If you’re looking for the best place to grow your rehabilitation career, there are many reasons to join the rehabilitation team at Northwell Health. Here are the top five! In addition, Northwell Health features CARF-accredited rehabilitation facilities that ensure the highest standards of care. Northwell Health offers a range of educational and professional development programs, including continuing clinical education, conference networking, physician rounding, clinical research opportunities and advanced training at the Center for Learning and Innovation. Northwell also provides individual mentoring in order to identify and develop outstanding clinicians. Talk about your winning teams! 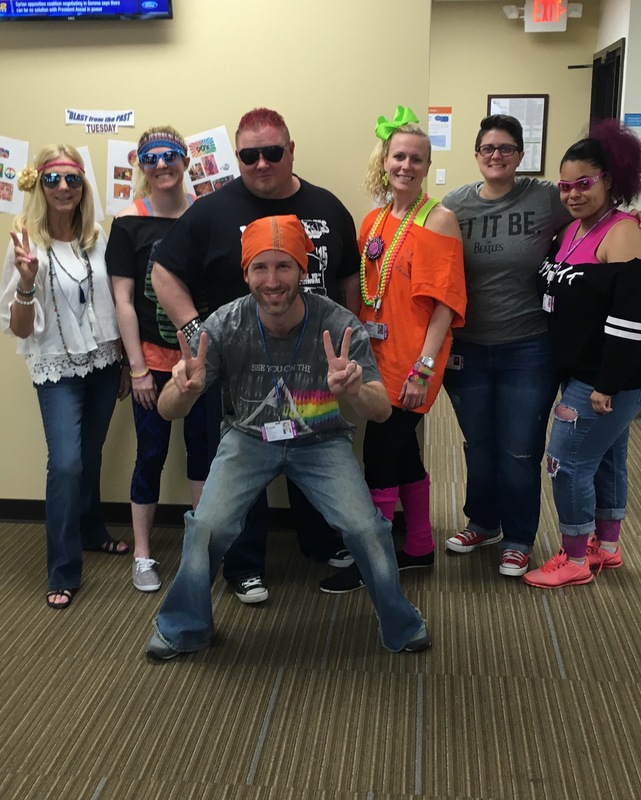 Our teams systems-wide have been recognized as a leader in employee engagement with scores ranking over the 97th percentile nationally for four years in a row. With strong interdisciplinary collaboration, the rehabilitation professionals at Northwell Health are always better together. Ready to take the next step? Learn more about job opportunities within our rehabilitation department here. Didn’t find what you were looking for? Join our talent community and learn about future rehabilitation career opportunities here. I knew from personal experiences at a young age that I wanted to go into healthcare related to improving ones quality of life. In order to pursue this I spent time volunteering in high school and I observed physical therapy which inspired me. My goal at the time was to help those with cancer and improve their day to day function and strength during treatment and recovery. Through my physical therapy education and training I became interested in working with a variety of those in need-including those with sports, cardiac, neurological, amputees, and orthopaedic conditions. Most importantly a physical therapist has the ability to motivate and teach an individual to become more independent and enjoy each day. How long have you worked for Northwell health? I will be celebrating my 30 year anniversary in 2017. Can you talk about your career profession within the health system? I began as a staff physical therapist at NSUH Manhasset. I then pursued my masters in administration, with the intent to go into a physical therapy private practice. About 5 years later I was offered an opportunity to start a small outpatient orthopaedic physical therapy program for the hospital. This small program has grown over the years to many sites and is called STARS (Sports Therapy and Rehabilitation Services). The STARS team continues to this day and celebrates exceptional service, engagement and care for many types of patients in need of physical and occupational therapy. I was asked approximately 15 years ago to oversee the Rehabilitation Service Line for our growing health system, and shortly after that I was asked to oversee the Orthopaedic Physician Service Line. Now our two service line teams have grown many programs, centers, facilities and offices in many markets throughout the region. What do you like most of the administrative role of rehabilitation? Once I became a physical therapist I started developing programs and I really enjoyed initiatives that resulted in impacting many more than just the 10 patients a day that I was treating. It is also very rewarding to help those with a passion for what they love to do create better patient care. That motivated me to grow and I was asked to do this more formally – thus starting my career ladder into administration. My most proud achievement to date has been to celebrate the successes of others and the accomplishments of many individuals who have helped create better ways to offer care to those in need. On the business end a particular goal is to volume build. Areas of our teams include marketing, community outreach, meeting with societies, care organizations and advocacy groups in order to meet their needs, building new service communities and promoting a personal touch to everyone and everything we encounter in corporate healthcare. In corporate healthcare, it has been helpful to be a voice as a physical therapist- to represent the profession and yet align strategically with the health systems mission. What kind of experience and settings are available to therapists within Northwell Health? Within Northwell there is just about every variety of therapy and rehabilitation. We have hospital based therapy, skilled nursing- short and long term care therapy, acute inpatient rehabilitation, outpatient therapy and homecare. We treat all ages from pediatrics to geriatrics and have just about every specialty program from sports and spine care to joint replacements, neuro rehab, brain injury and lymphedema care. Part time and full time positions which offer flexible hours are available in many of our settings that help promote a work- life balance. 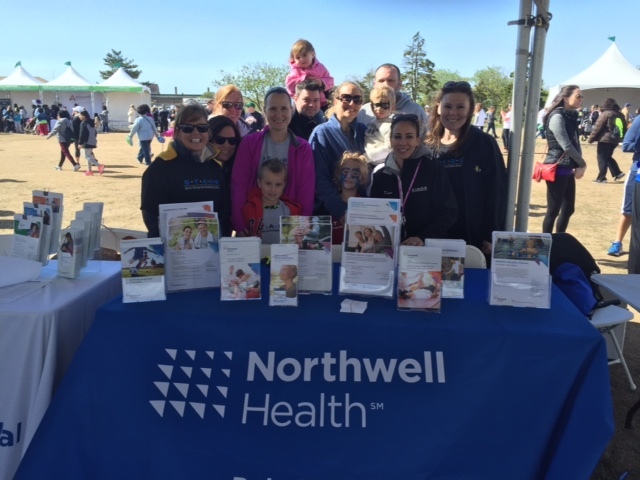 Why is Northwell Health special? Northwell health is the largest employer for physical therapists in our region. Many employment options are available related to location and specialty. The overall culture of Northwell is one of teamwork, caring, communication, respect and a great family feel. Employees within Northwell Health truly care about each other and enable change for improvement and what best meets the needs of the patients. As a physical therapist we tend to have the same values of teamwork, communication and motivating others so it marries nicely with the culture of Northwell health. 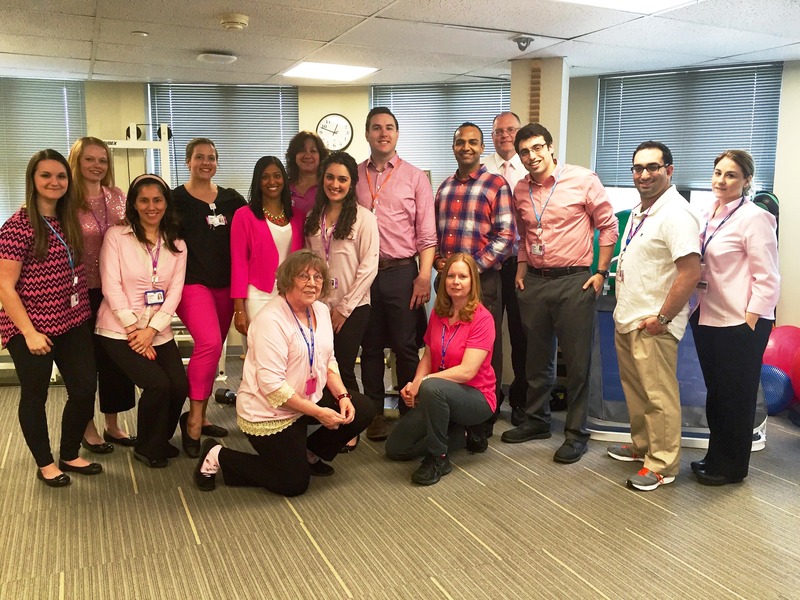 What opportunities are available for therapists at Northwell Health? A physical therapist within Northwell Health has many opportunities for additional clinical education, research, program development or leadership growth through the offering of a management track. The Center for Learning and Innovation that has many courses to help develop leadership skills and an understanding of healthcare. There is tuition support available for those who go on to advanced education. 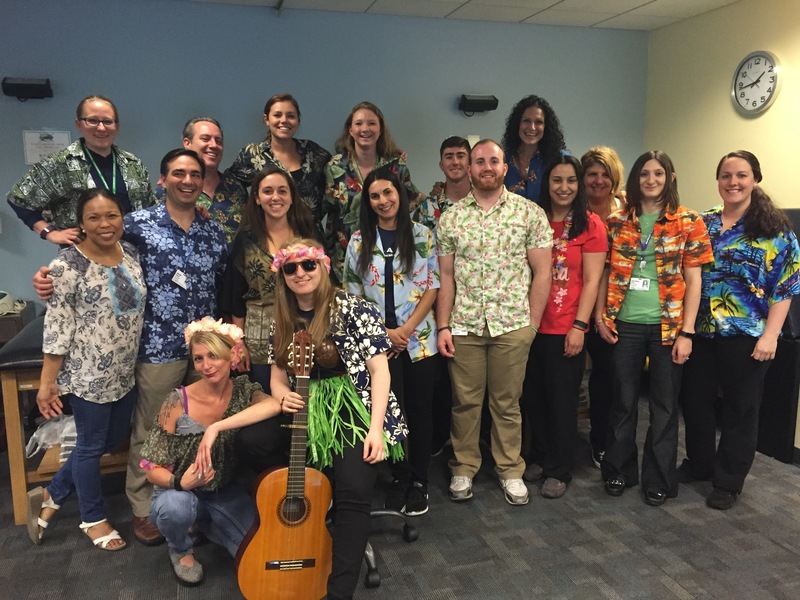 There are many cultural activities that help build teamwork with physical therapists and other professions such as nurses and physicians- this makes Northwell Health unique. Can you speak to the relationship between our Physicians and our Physical Therapists throughout the health system? We have thousands of physicians who work with our physical therapists in every setting. A physical therapist typically receives the referral to offer care but our communication and partnership to give the patient exactly what they need is very important. Our physicians include orthopedists, neurologists, surgeons, internal medicine and oncologists. There is a very good relationship and mutual respect between physical therapists and physicians concerning the development of programs, education of the community, prevention and treatment of disability in patients. What would you like to say to our Physical Therapists employees during PT month? 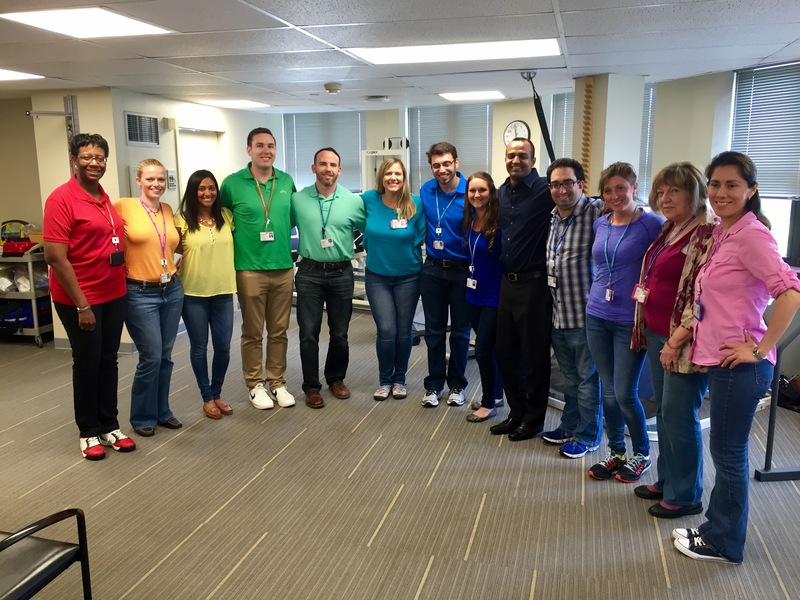 PT month is a time to celebrate for all we that we are able to do for patients and for each other. Northwell Health continues to grow and our expanding workforce of therapists is very strong, well-qualified, well respected and outstanding in their field. This is a time to celebrate the great services that we offer and the continued growth of our programs. A huge message of appreciation is sent to each and every therapist who is proud to be part of the Northwell Health Rehabilitation family. This is a month to celebrate who we are and what we do for so many. Our teamwork and our individual offering of quality care helps thousands and thousands of patients each year and we should congratulate each other offering such quality care in such a rewarding field and in such a great organization which is Northwell Health. Want to join our team of Physical Therapists? Explore our unlimited rehabilitation career opportunities. Our stars working at S.T.A.R.S. The Sports Therapy and Rehabilitation Services (S.T.A.R.S.) team is always ready to take on a challenge. As the team and facility locations continue to grow, there are an endless amount of diverse cases and support available for every employee to accomplish their education and career goals. We had the privilege to speak with Brian Krebs, Senior Director of STARS Network, about his journey throughout Northwell Health and the top 3 things happening right now at STARS. I began my career with Northwell Health’s STARS in 1997. At that time it was called North Shore-LIJ’s STARS. Can you talk about your career progression within the health system? 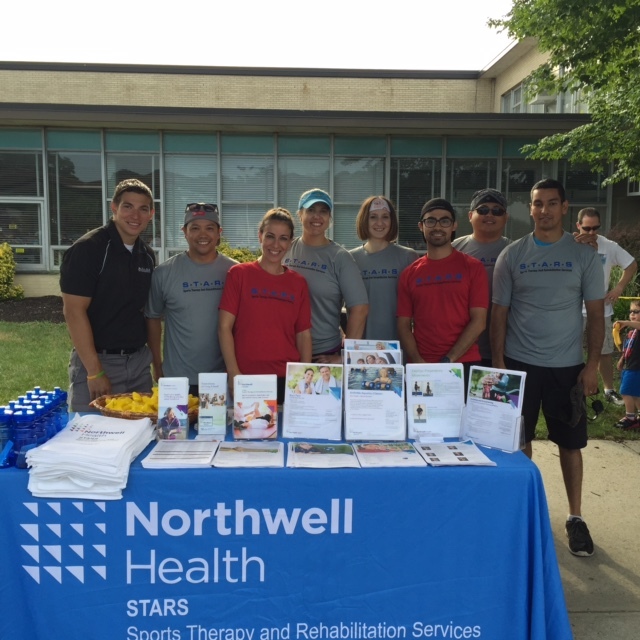 My opportunity to work at Northwell Health’s STARS presented while I was in physical therapy school on my last clinical rotation at STARS East Meadow. A full time staff therapist position was becoming available and my clinical instructor thought I would be a good fit and recommended me for the position. I was attracted to STARS because of their focus on patient care and providing a collaborative team environment. Over the next 19 years I was afforded the opportunity to progress my career from a staff level therapist, to a site supervisor, to a rehabilitation manager to where I am today as a Senior Director. Along the way I was challenged by my mangers to develop both my clinical and administrative skill set. As a site supervisor I was asked to develop various clinical programs related to sports therapy. As a manager I became more involved in the development of staff, making operational decisions and providing strategic input on how best to grow our service. I also have been able to continue my educational aspirations by achieving 3 clinical certifications including a specialty in spine care, manual therapy (Certified in the McKenzie Method and Maitland approach) and becoming an Orthopedic Clinical Specialist. Additionally, I was encouraged to pursue and received a transitional clinical doctorate degree. I know of no other organization that would have allowed me to grow and develop in the manner I have. Please list the top 3 things happening at S.T.A.R.S. right now. 1. For many years STARS primarily treated those with orthopedic injuries or conditions. However, over the past 2 years with the addition of new locations we have been able to diversify our client base by partnering with other Northwell Health Service Lines to develop many new specialty programs. These include a Lymphedema/Oncology program, a Pelvic Floor/Women’s Health program, a Pediatrics program and our STRIVE for Wellness Program which provides those with a spinal cord injury or other neurologic condition the ability to exercise independently in a safe wheelchair accessible gym. These are in addition to our already existing STARS specialty programs which include Vestibular Rehabilitation, Hand Therapy and Neurological Rehab. 2. We have also seen tremendous growth in the area of sports rehabilitation. For the past 2 years, STARS has been the official provider for the Hofstra University Athletic Department. We work as part of a multidisciplinary team to ensure Hofstra’s student athlete’s get the very best care and get back on the field as quickly as possible. We have also added Certified Athletic Trainers (ATCs) to our clinical compliment and have been awarded contracts with North Shore and Glen Cove High Schools. This past year our trainer at North Shore High School worked with the school’s Athletic Director to achieve the nationally recognized Safe Schools Award. Additionally, our sports therapy staff has worked closely with Orthopaedics to develop our organization’s post-operative protocols, an ACL tear prevention program, a sports concussion program, and a performing artist/dance medicine program. 3. Finally there is our site expansion, with STARS locations in Nassau County, Western Suffolk County, Queens, and Westchester. The addition of new STARS locations allows STARS to serve a greater number of communities and physicians. Our growth has also allowed us to develop programming that meets the needs of undeserved populations and aligns with the mission of our organization. In 2015, STARS opened offices in Franklin Square and Huntington. In 2016, STARS integrated with the outpatient rehabilitation department at Northern Westchester Hospital, making us 10 locations strong. Provide the extraordinary care we do for our patients. Their passion for the profession and drive to help every patient maximize their outcome is humbling. Without their daily efforts we could not have grown into one of the largest multi-specialty therapy providers in the region. This commitment to our patients is evidenced by our consistently high Press Ganey patient satisfaction survey results, and the fact that STARS has achieved the highest Employee Engagement scores for the past three survey cycles. However, it is not just our Physical Therapist that we owe a debt of thanks to. We could not provide the care we do without the work performed by our Physical Therapist Assistants and Occupational Therapists who demonstrate the same values and passion for excellence as that of our Physical Therapists. What would you like to say to your PT employees during recognition month? I’d like to commend them, as well as all of our staff, for the important work they do each and every day. I am awed by the letters and emails that we receive weekly from our patients, recognizing the skill and dedication of our staff. It is this dedication to each other, our patients and our mission that has allowed STARS to develop and maintain a culture of care. I can’t thank them enough!